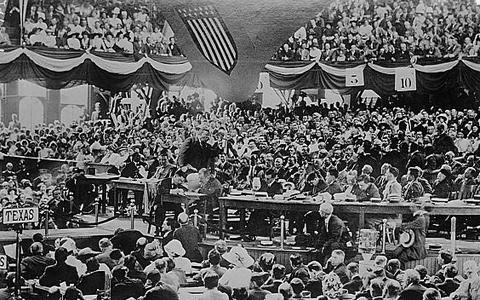 Theodore Roosevelt at what appears to be the first Progressive Party Convention. They met in August 1912 in Chicago, Illinois, and nominated him to run for president. This week in our series, we talk about the presidential election of eighteen twelve. The first ten years of the twentieth century in America were shaped by the strong leadership of President Theodore Roosevelt. And in the second decade, he returned to national politics to bring, once more, dramatic changes to the United States. 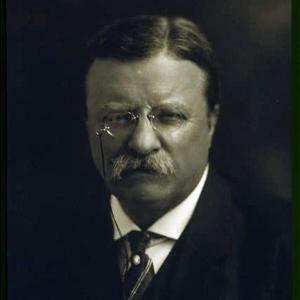 Theodore Roosevelt was a distant cousin of Franklin Roosevelt, a Democrat who became president in nineteen thirty-three. In nineteen twelve, Teddy Roosevelt organized a new political party: the Progressives. Roosevelt created this new party after he failed to win the Republican presidential nomination. The Republican convention of nineteen twelve had been controlled by conservative supporters of President William Howard Taft. And, as we hear now from Leo Scully and Maurice Joyce, the party nominated Taft for four more years in the White House. LEO SCULLY: As a result, Roosevelt broke with the Republicans. And he and his supporters held their own convention. They formed the Progressive party and approved a platform that promised reforms. These reforms were proposed to make the government serve the people and carry out more fully their desire for social progress. The Democratic Party also nominated a candidate who supported progressive ideas. 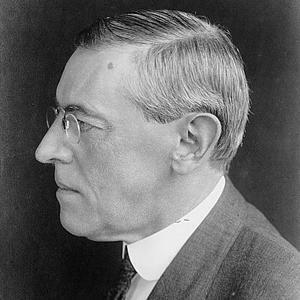 The Democrats chose Governor Woodrow Wilson of New Jersey, a former president of Princeton University. So, for the first time in many years, there were three major candidates for president. Wilson clearly had the best chance to win. He had the support of almost all the Democrats. The Republicans, however, were split. Some supported Taft. The others were for Roosevelt. MAURICE JOYCE: Roosevelt refused to accept the idea of defeat. He campaigned hard, visiting many cities and towns, making speech after speech. Wilson also campaigned hard. He seemed to enjoy it as much as Roosevelt. Taft did not like it at all. He refused to do much campaigning. He spent most of the time at his summer home. It was a quiet election campaign...until the middle of October. Then, only three weeks before election day, Roosevelt was shot. LEO SCULLY: It happened in Milwaukee. Roosevelt had just left his hotel and climbed into the automobile that would carry him to the hall where he planned to make a speech. As he stood in the open car, an extremist named John Schrank ran up to him, pulled a gun from his coat, and fired a bullet into Roosevelt's chest. The bullet knocked him down. Roosevelt said it felt as if he had been kicked by a mule. He jumped up and put his hand to the wound. The bullet had passed through the inside pocket of his coat. It struck a steel case that held his glasses, and went through the folded fifty pages of his written speech. These slowed the bullet, and it went only a few centimeters into his chest. MAURICE JOYCE: Roosevelt did not know if he was seriously wounded. He put his hand to his mouth and coughed. No blood came. And he knew the shot had not damaged his lungs. Roosevelt ordered the crowd around to stop beating Schrank. "Bring him to me," he said. He looked down at the man. "You poor creature," said Roosevelt. Then he turned away. Doctors arrived. They said Roosevelt must go at once to the hospital. But Roosevelt refused. He said he would go to the hall. "I will make this speech," he said, "or die. It will be one or the other." On his way to the hall, he told a friend: "It takes more than that to kill a Roosevelt. I do not care a rap about being shot. Not a rap." LEO SCULLY: At the hall, he stood before the big crowd. His face was white. But he stood straight, without help. Someone announced that Roosevelt had been wounded, but still planned to speak. Roosevelt's voice was very low, almost a whisper. "I am going to ask you to be very quiet. And please excuse me from making a long speech. I will do the best I can. But there is a bullet in me." He paused and then continued. "It is nothing. I am not hurt badly. I have something to say. And I will say it as long as there is life in my body." MAURICE JOYCE: Roosevelt's speech was not important. He said nothing that he had not already said many times before. What was important, however, was his cool courage. Men did not see his act as foolish or overly-dramatic. They saw it as the brave act of a strong man. To the public, he was a hero. Roosevelt spoke for almost an hour. Finally, very weak, he let himself be helped from the hall. He was rushed to a hospital where doctors could examine the wound. LEO SCULLY: The doctors found that the bullet had broken a rib, but caused no serious damage. They decided to leave the bullet where it was. The next day, Roosevelt made a statement from his hospital bed. "Tell the people not to worry about me. For if I go down, another will take my place." President Taft and Woodrow Wilson sent messages of regret to Roosevelt. They announced that they would not campaign until Roosevelt was able to do so. MAURICE JOYCE: Roosevelt's condition improved quickly. After two weeks of rest, he was ready to continue his campaign for the presidency. He made a speech to a big crowd at Madison Square Garden in New York City. Everyone was surprised to see how strong and healthy he seemed. Wilson ended his campaign in New York City the next day. He told a cheering crowd of Democrats: "What the Democratic Party proposes to do is to go into power and do the things that the Republican Party has been talking about for sixteen years." LEO SCULLY: On November fifth, the people voted. The winner was Woodrow Wilson. He received more than six million votes. Roosevelt was second with four million. Taft received only about three and a half million. Wilson's victory was even greater in the electoral vote. He got four hundred thirty-five. Roosevelt got only eighty-eight. And Taft received only the eight electoral votes of Utah and Vermont. The Democrats won not only the White House, but also control of Congress. And a number of Democratic governors were elected in states formerly controlled by Republicans. MAURICE JOYCE: The nineteen twelve campaign ended public life for Theodore Roosevelt. Soon after the election, a friend visited Roosevelt and talked of possible victory in nineteen sixteen. "I thought you were a better politician," Roosevelt said. "The fight is over. We are beaten. There is only one thing to do. That is to go back to the Republican Party. You cannot hold a party like the Progressive Party together. There are no loaves and fishes...no financial support." LEO SCULLY: War was soon to break out in Europe. The United States would enter the struggle in nineteen seventeen. As always, Roosevelt was ready to join in a fight. He asked for permission to organize an American force and lead it into battle in France. President Wilson, however, turned down the request. Roosevelt was sure that it was a political decision. He never forgave Wilson for keeping him out of the war. MAURICE JOYCE: "Only those are fit to live who do not fear to die. And none are fit to die who have shrunk from the joy of life. Both life and death are parts of the same great adventure. All of us who give service and stand ready for sacrifice are torch bearers. We run with the torches until we fall, satisfied if we can then pass them to the hands of other runners. "The torches whose flame is brightest are carried by the brave men on the battlefield and by the brave women whose husbands, lovers, sons, and brothers struggle there. These are the torch bearers. These are they who have dared the great adventure." LEO SCULLY: Roosevelt's own great adventure was itself coming to an end. He suffered from painful attacks of inflammatory rheumatism and from a serious ear infection. He had difficulty in hearing and could not walk. But the old man was still cheerful. He spent his sixtieth birthday in the hospital. And to his family and friends, he said: "I am ahead of the game. Nobody ever packed more kinds of fun and interest into sixty years." 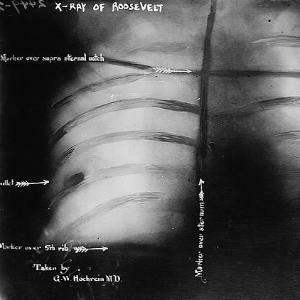 Death came to Roosevelt as he slept on the night of January sixth, nineteen nineteen. Said Vice President Thomas Marshall: "Death had to take him sleeping. For if Roosevelt had been awake, there would have been a fight." BOB DOUGHTY: Our program was written by Frank Beardsley. The narrators were Leo Scully and Maurice Joyce. Roosevelt had a strong charactor ,he never wanted to be beaten ,he was a great president in the history of the USA. Death had to take Roosevelt sleeping. For if Roosevelt had been awake,there would have been a fight.